Kingshott have been working with Cleverbox from 2007 for all their branding materials, whilst maintaining Kingshott’s heritage we have added an innovative modern twist. The website is filled with outstanding photography with Kingshott’s excellent range of academic and extra-curricular offerings. The website has a built-in staff profile module to showcase and familiarise visitors with the staff. The prospectus makes an impact with a gold foil on the cover, it demands attention and catches the eye of each viewer. 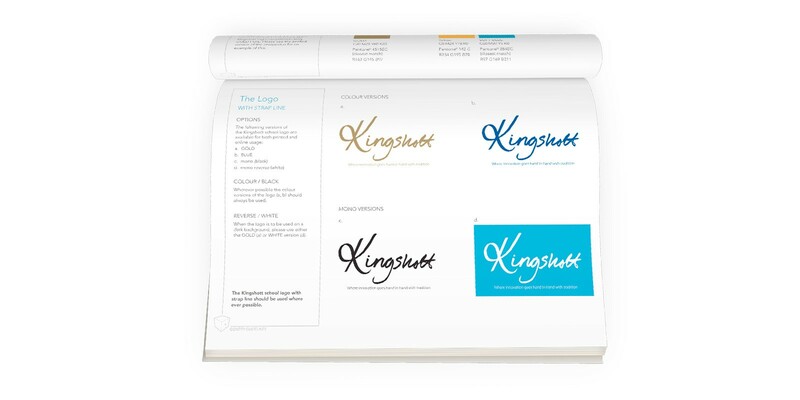 Some examples of the revised Kingshott School branding materials.